Life's tough but we are built tougher! Every baby is born with the strength to defeat over 80 major illnesses, but they can’t harness it unless we make the choice to safeguard their health for good. Fighting the nasties starts from Day One with their cord blood stem cells. 1. Nietfeld JJ, Pasquini MC, Logan BR, Verter F, Horowitz MM. Lifetime probabilities of haematopoietic stem cell transplantation in the U.S. Biology of Blood and Marrow Transplantation. 2008; 14: 316-322. 3. Harris DT. Cord blood stem cells: a review of potential neurological applications. Stem Cell Reviews. 2008; 4:269-274. Watch this video to find out more on the potential of cord blood stem cells! 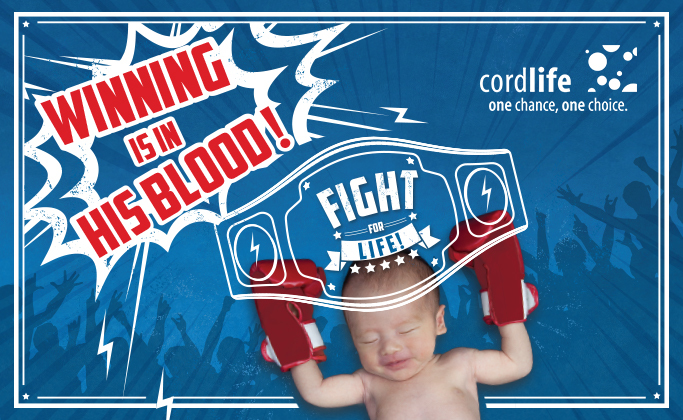 With more reasons to choose Cordlife, make the winning decision to protect your child for life. Speak to us at 6238 0808 or visit here for more information today! For Cordlife's cord blood banking service only (with the exception of Resilient Plan and Special Annual Plan). Cordlife reserves the right to change the above terms and conditions without prior notice.